1. 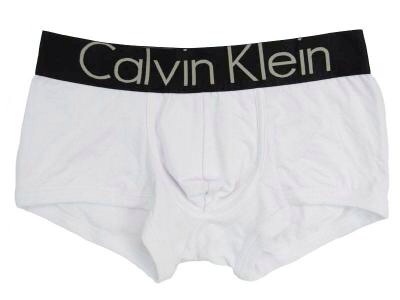 It's important to know that there are a variety of fits and styles of underwear for every man. However, one must know that the fit is most crucial and essential. And, the style is just as significant. Just to name a few...there are boxer briefs, boxers, boy shorts, trunks, thongs and bikinis. I suggest find a brand that you love, one that works and make it your signature. 2. A man should never keep his underwear for more than a year. Especially when the elastic stretches, the color fades, and they are stained. These are all clear signs to dispose them immediately. 3. Guys you should always invest in a new pair of underwear quarterly. This will keep your collection up to date and keep them from becoming so easily worn as well as dated. It's worth the investment and you will thank yourself in the end. 4. You should have at least 10 pairs of underwear handy at all times. That would mean you have a pair for everyday of the week plus two additional for weekend nights. It's been said that less is more, but in this case the more the better. 5. Always make sure to clean your underwear after each wash. You should never wear the same undies two nor three days in a row. Guys that's not what you call good hygiene nor is it considered very maverick. Gentleman if you follow these few lessons and tips you will be considered a stylishly MAVERICK Man and you will reap great benefits...I Say Yes!